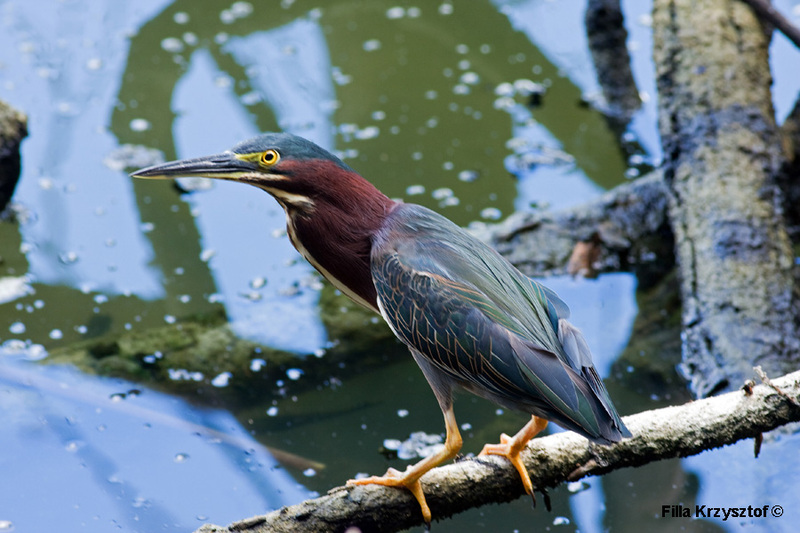 The green heron (Butorides virescens) though not very green makes his home in central and north America. The green herons sometimes use tools as a bait to catch its prey. They use bread crusts, insects, worms to lure a fish.